"Curiosity is the key to creativity." After World War II, Japanese companies began flooding the American market with many inexpensive and poorly made products, and most Americans associated the words "Made in Japan" with poor quality. Akio Morita changed that perception by building an international company whose name is associated with innovative and high-quality products around the world. He was born in Nagoya, Japan in 1921. The Morita family had been brewing sake and soy sauce for 14 generations. As the oldest son, he was expected to take over the business, but Akio was more interested in tinkering with electronics. Morita graduated with a degree in physics from Osaka Imperial University. During World War II, he was a lieutenant in the Japanese Navy and met an electrical engineer named Masru Ibuka. After the war, he was offered a teaching position at Tokyo Institute of Technology, but he read an newspaper article about Ibuka opening a research lab and went to visit him. The two men decided to form a partnership. In 1946, they started Tokyo Telecommunications Engineering, Corp. in a bombed-out department store in the ruins of postwar Tokyo. Ibuka focused on engineering and product design, while Morita handled marketing, personnel and financing. Their first product was an automatic rice cooker, but it was not very successful. There wasn’t much of a consumer market in post-war Japan because the economy had been devastated by the war, so Morita looked to the West as a market for his products. Many Japanese companies enjoyed modest success by building cheap knock-offs of products developed in the West, but Morita wanted to develop new and innovative products of his own. They wanted to develop a tape recorder, but couldn’t find a source for magnetic tape. They had to make their own tape by grinding up magnets and sticking the powder to strips of paper so that they could test their prototypes. They perfected Japan’s first magnetic tape recorder in 1950, and after some aggressive marketing by Morita, it was a modest success. 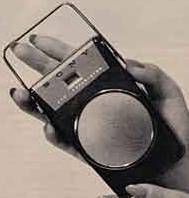 By 1955, Morita was trying to design a pocket-sized radio for the American market, but the smallest radio they were able to make was still a little too large. He solved that problem by having his salesmen wear shirts with larger pockets, so that they could slip the radio in and out of their shirt pocket during demonstrations. The radios they sold became the first commercially successful transistor radio and was very popular around the world. Morita realized that brand-name identification was as important as good products to the company’s success. Tokyo Telecommunications Engineering, Corp was quite a mouthful, and he wanted a name that would be easy to pronounce and easy to remember. Everyone else thought he was crazy to change the name of a successful company, but in 1958, he changed the company’s name to Sony. It was made up from the Latin word sonus, which means sound, and sonny, which he thought was a "friendly" term that also sounded like the sun. In 1960, he formed an American subsidiary called Sony Corporation of America. In 1961, Sony was the first Japanese corporation to have it’s stock listed on the New York Stock Exchange. Morita moved his family to New York City in 1963. He wanted to learn all he could about Americans and their culture, so that Sony could design products tailored to the American market. He also spent a lot of time socializing with the rich and powerful elite and was able to build lasting relationships with many of America’s business and political leaders. During the 1970s, portable tape players were popular in America, but they were big and heavy. Morita had an idea for a small battery-powered tape player with headphones, so that a person could listen to music and still have great freedom of movement. Many people in the industry believed that a tape player without a record function would never catch on, but Morita knew he could make the device much smaller and more portable without it. 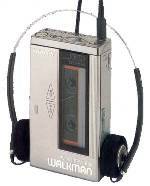 Morita’s instincts were right, and Sony’s Walkman has been one of the most successful personal electronics products ever, with over 250 million units sold since it’s debut in 1979. Sony was the first Japanese company to build a manufacturing facility in the United States. Over time, Morita set up many other manufacturing, R&D and design centers in North America, Europe and Asia. He believed that Sony should contribute to the economies of the countries where their biggest markets were located. Akio Morita was friendly, cheerful and outgoing. Many said that he had a natural radiance and that he captivated the attention of everyone he came into contact with. His excellent communication skills and great charm allowed him to easily bridge the cultural gap between Japan and the West. He was a workaholic, but he also liked sports and remained very active throughout his life; even taking up water skiing, scuba diving and wind surfing in his sixties. But Morita’s passion was innovation. Sony developed the first successful battery-powered portable TV, the Trinitron picture tube, which set a new standard of quality for color TV, and the first color home video recorder called the Betamax. Sony also developed several media standards; the 3 ½ inch floppy drive, 8mm video tape and the audio CD in a joint effort with Phillips. Morita had a stroke in 1993, while playing tennis and was confined to a wheelchair. He died of pneumonia in 1999, at the age of 78. At the time of his death, Akio Morita was the most famous Japanese citizen in the world and Sony was the number one consumer brand in the United States.